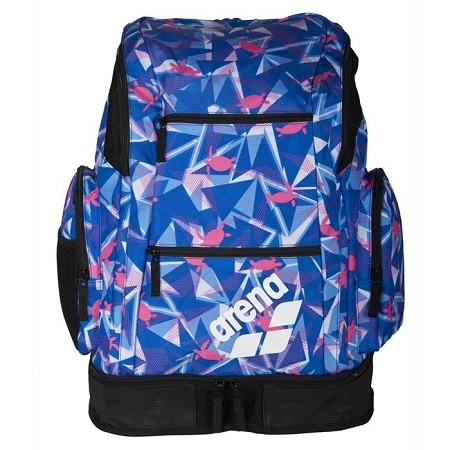 Arena designed their large Spiky 2 backpack for easy, hands-free hauling and organizing your swimwear gear and equipment. With features like adjustable padded straps and back panel, this backpack wears comfortably whether you're walking or biking. From shoes to sports drink, all your items have a spot of their own. 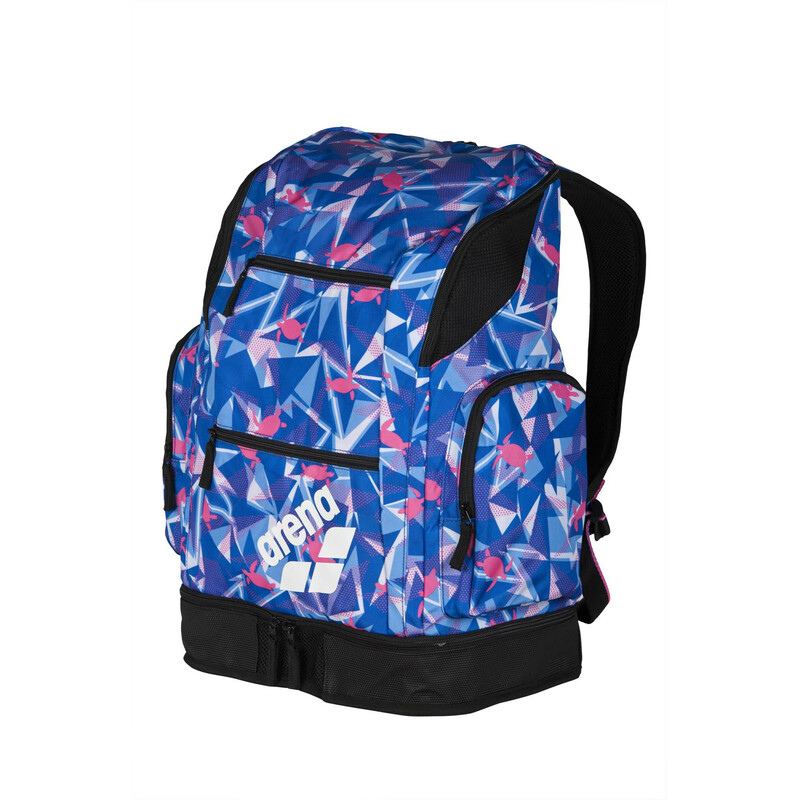 Their streamlined design comes in an array of colors with contrasting zips and logos. 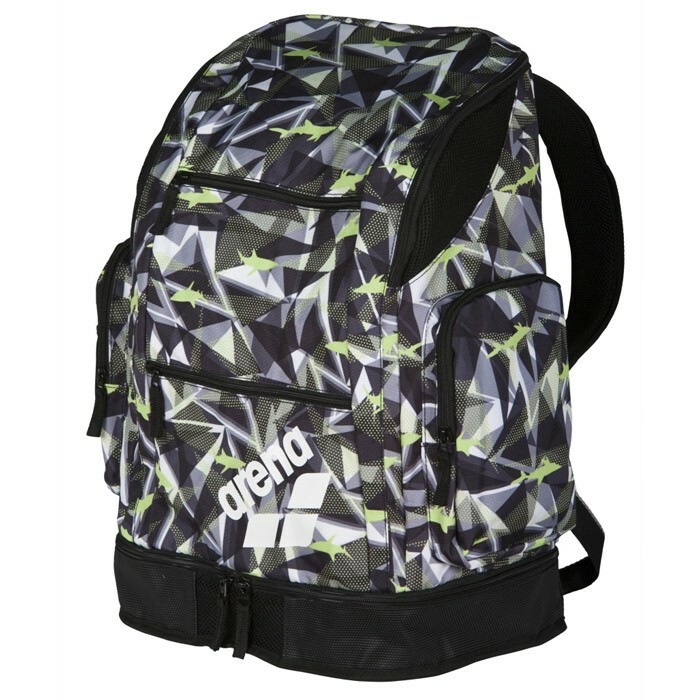 Not just your average swim backpack. 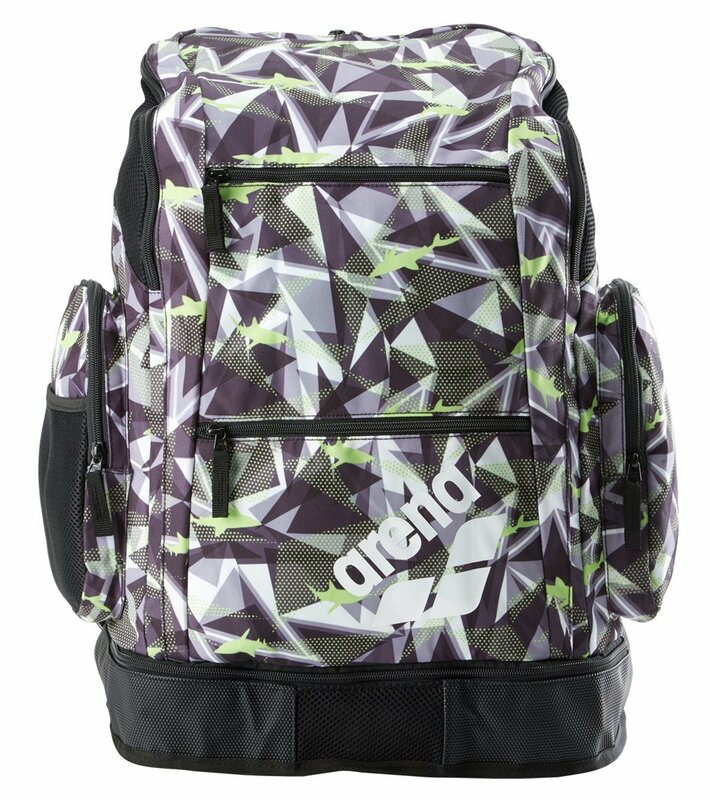 The large Spiky 2 backpack has a spacious main compartment with a u-shape opening for easy access to your belongings, two front pockets, a pocket at the back, two zipped side pockets and one mesh pocket. They've added a roomy shoe compartment at the bottom and padded straps and back panel with mesh inserts for extra comfort. Their design can stand up to a beating with a heavy-duty water-resistant fabric and reinforced bottom. Easy to manage with double zip fastening. Ventilated compartments and mesh inserts for moisture control.